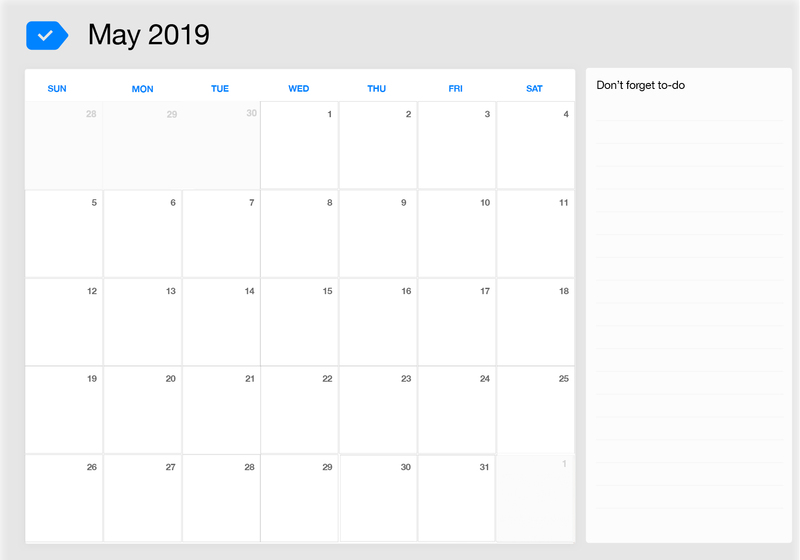 Choose the free template that suits you best so you can plan May 2019 important things easy upon our super slick and easy to print, calendar template. Just pick the one you prefer the most, print it and you are done, ready to make awesome thing happen. 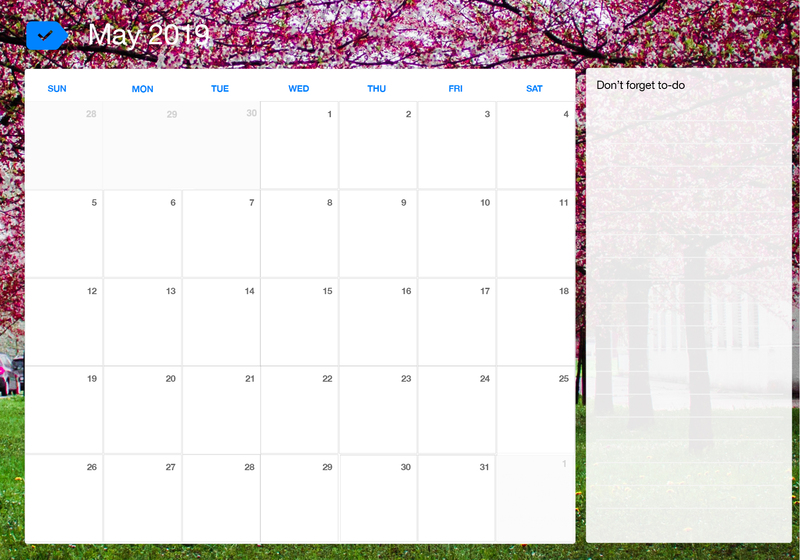 Our blank template offers you to easily write your important things, you can then hang the calendar anywhere you want making sure nothing gets you by.